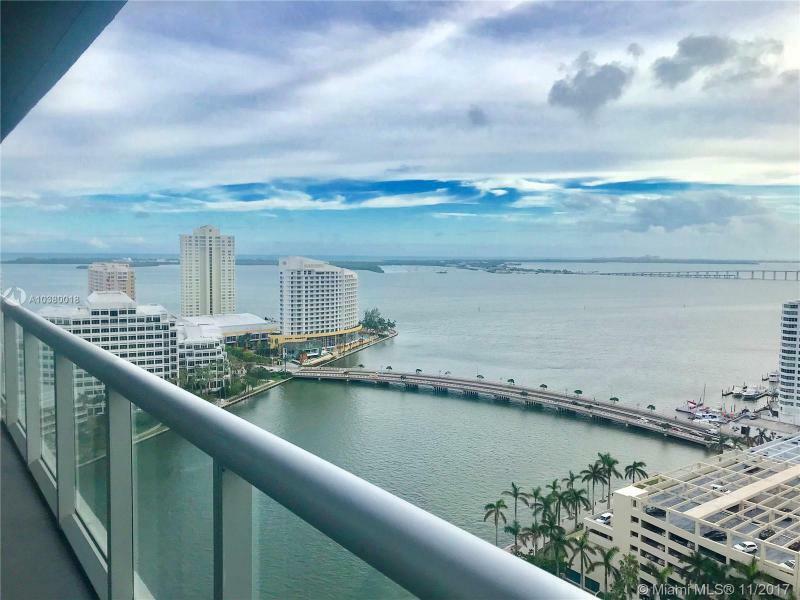 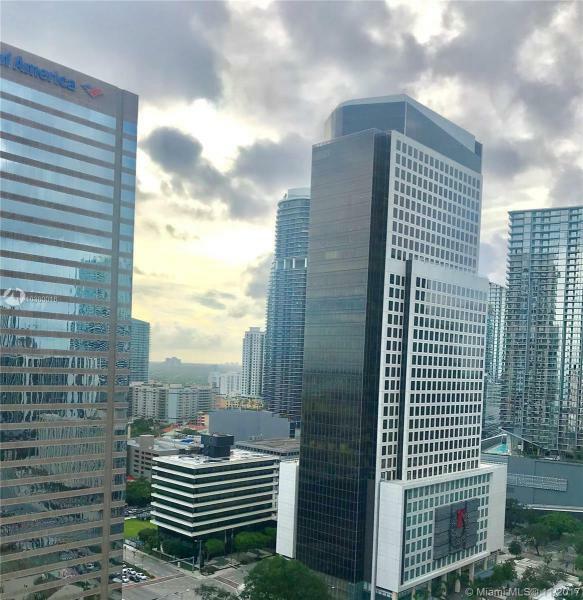 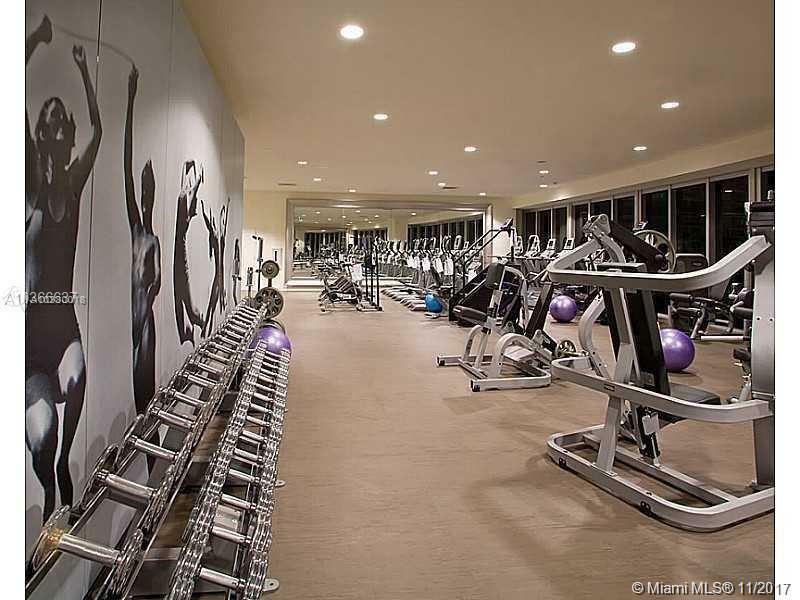 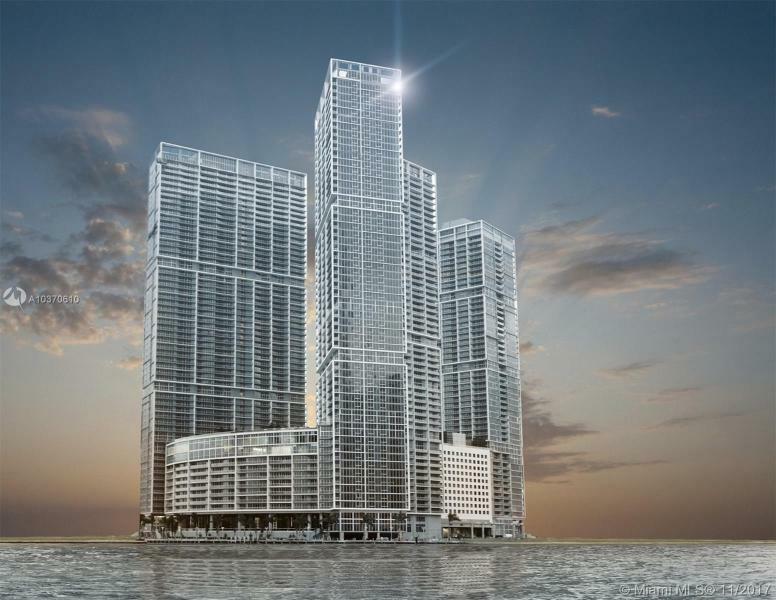 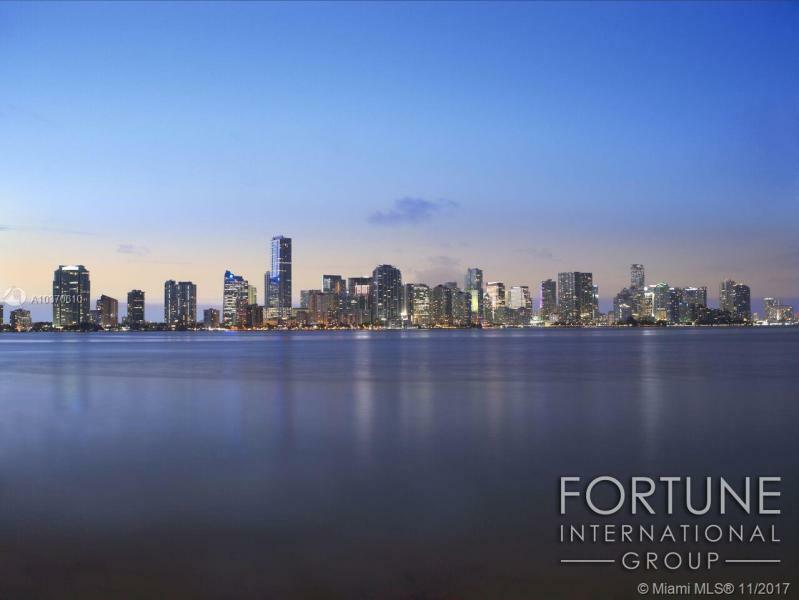 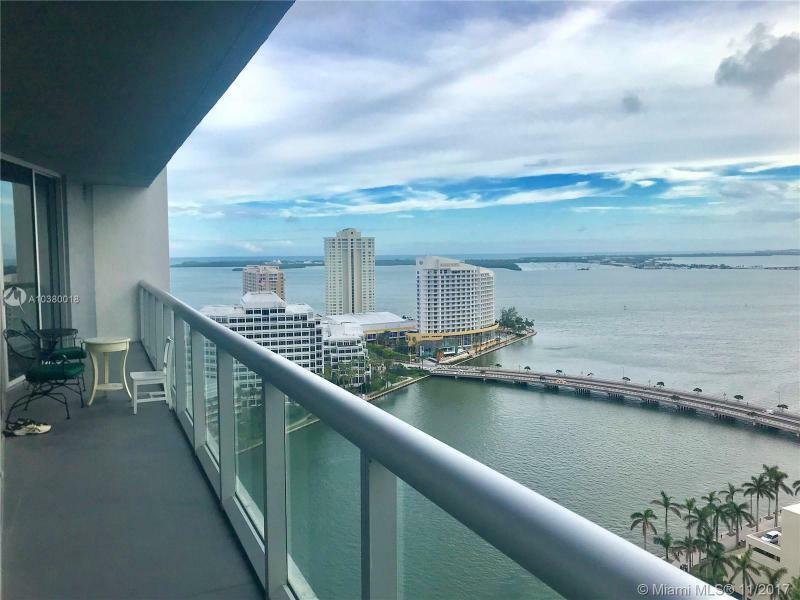 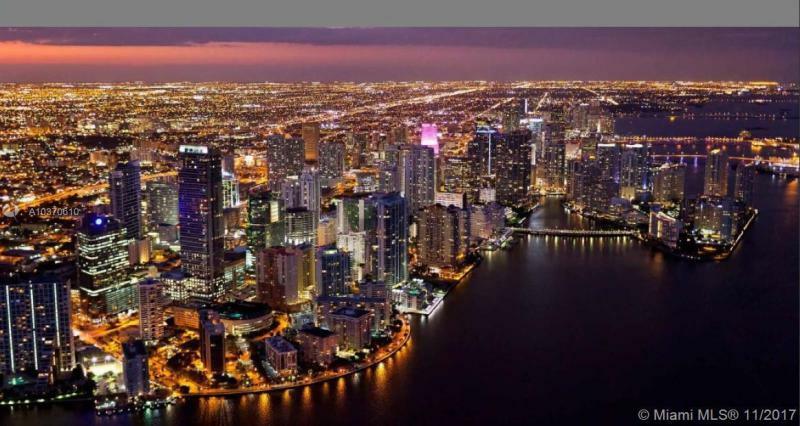 Bordering Mary Brickell Park to the south and a thousand feet of Biscayne Bay to the east, the glistening three-tower complex shares a multi-level signature entrance area with drop off sections for each tower lobby. 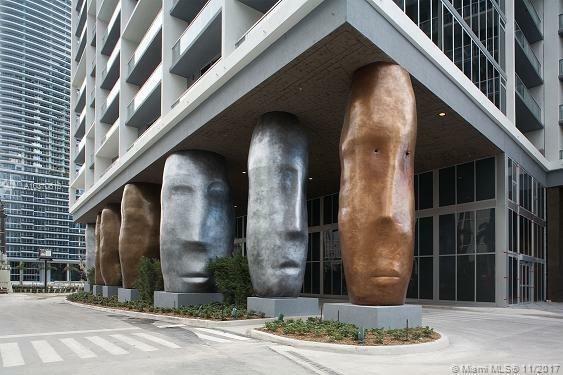 Creative director Philippe Starck was inspired by Easter Island when he modeled 100 22-foot tall columns to greet visitors in the sculpture garden entryway to the complex. 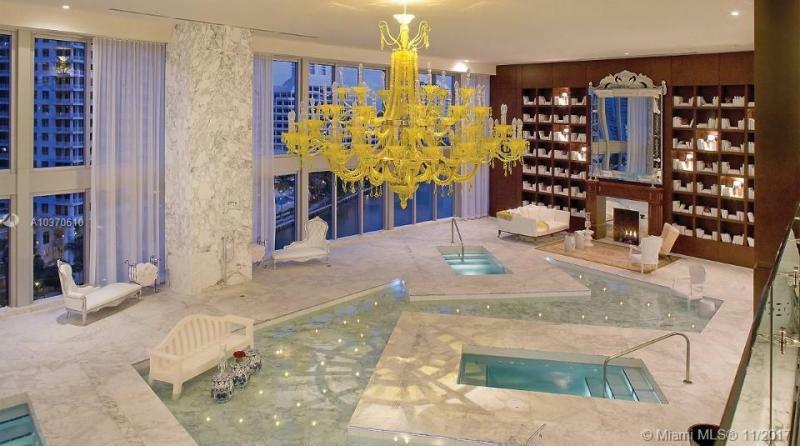 The whimsy of the entrance is repeated on the two-acre pool terrace with its oversized fireplace and giant chess set. 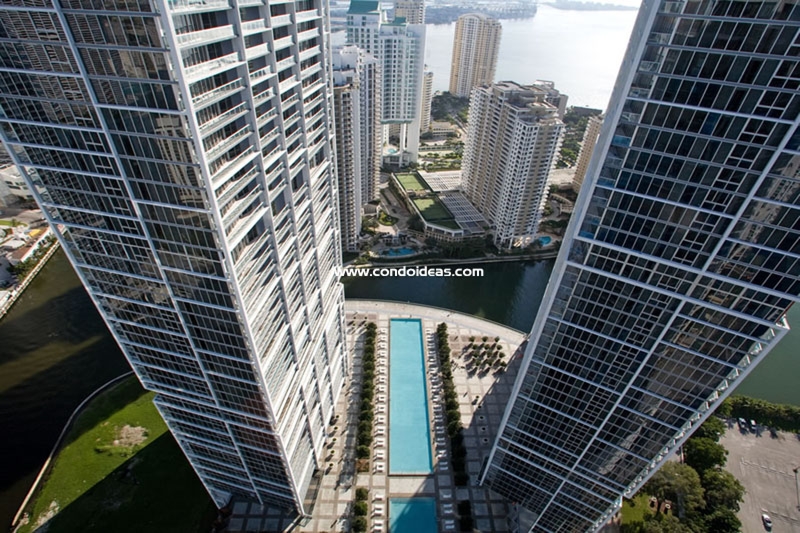 The uniquely large pool terrace floats 100 feet above Biscayne Bay. 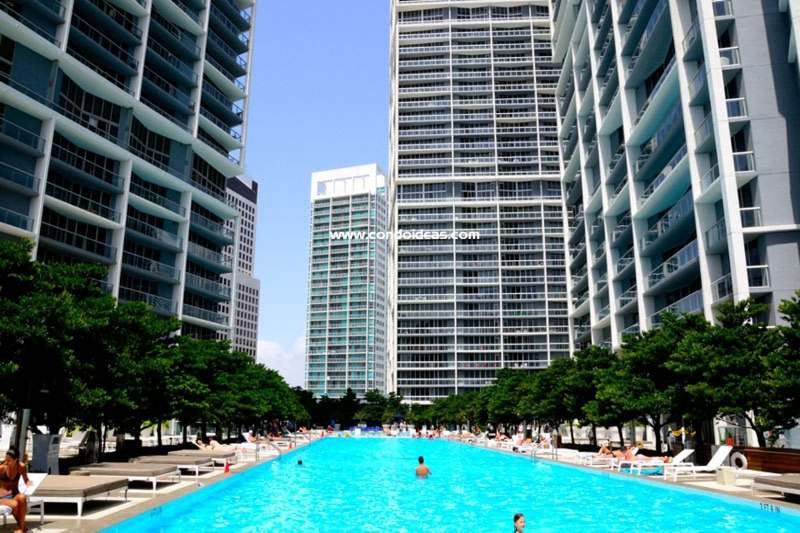 A pool the length of a football field is lined by stately trees and chaise lounges. 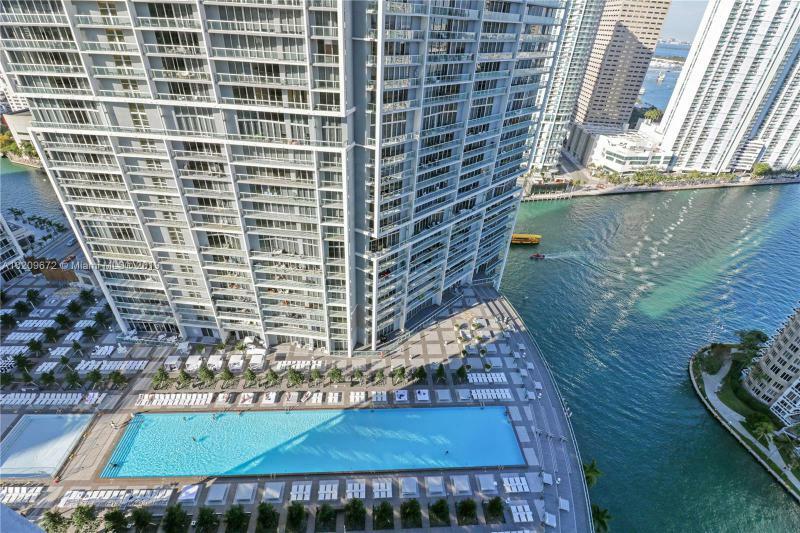 Other pools in the “Park in the Sky” include a thermal hot tub, oversized lap pool and a reflection pool. 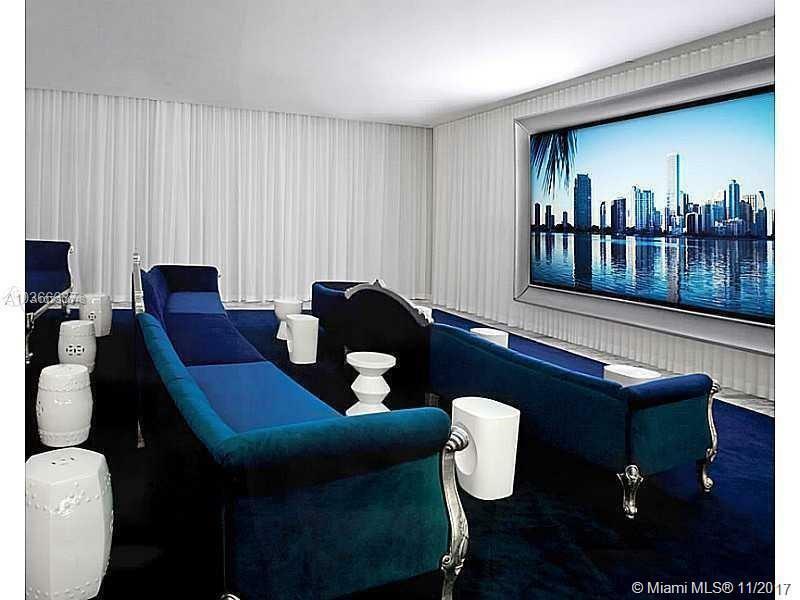 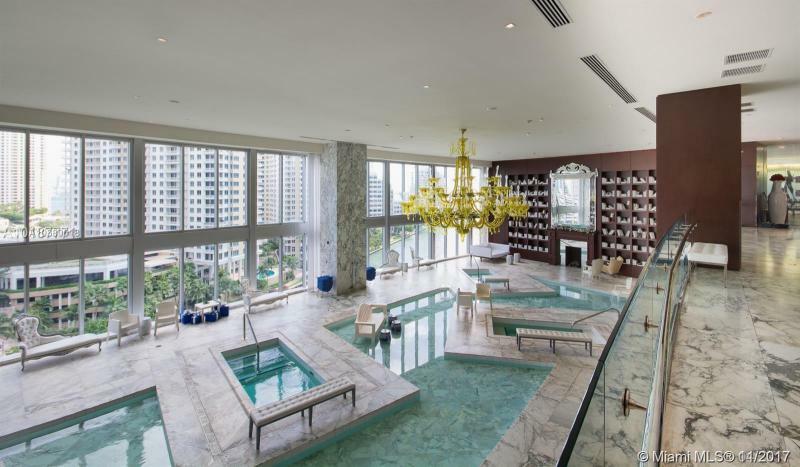 Also oversized, is the 28,000 square-foot spa available to residents and Viceroy Hotel guests. 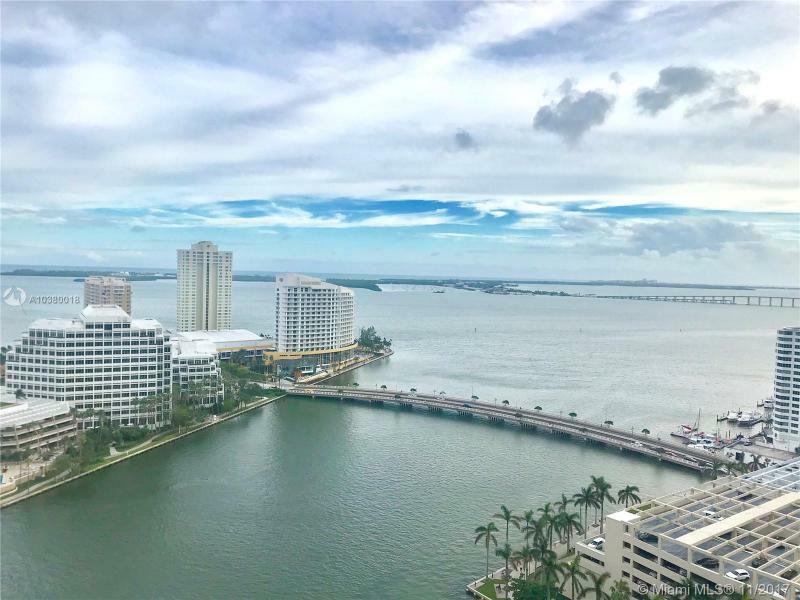 Two full-service restaurants sit bayside for your dining pleasure. 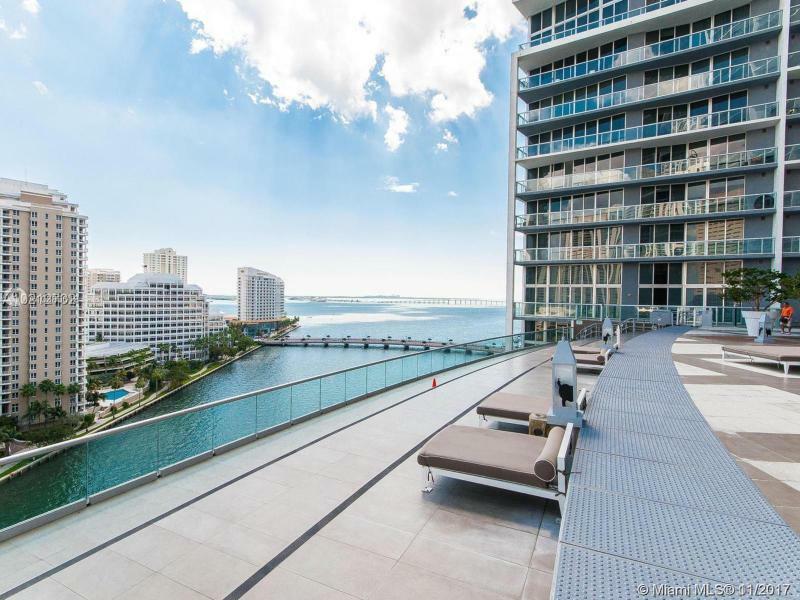 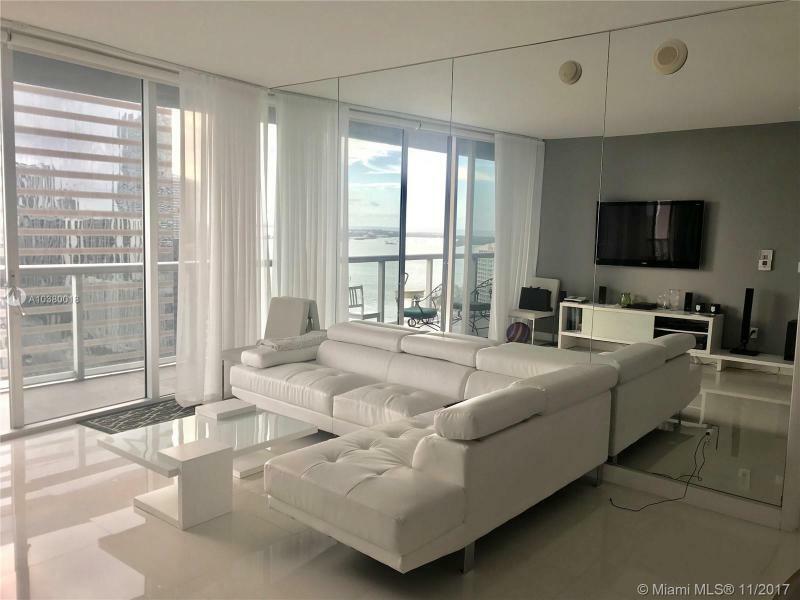 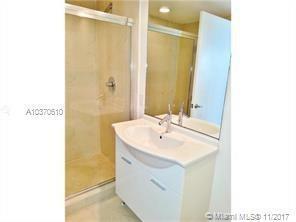 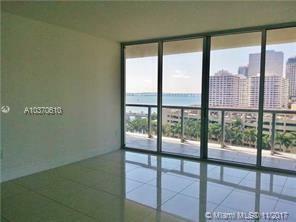 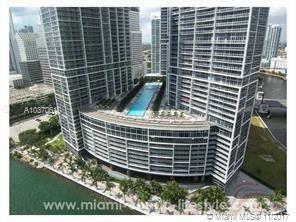 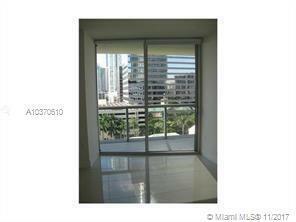 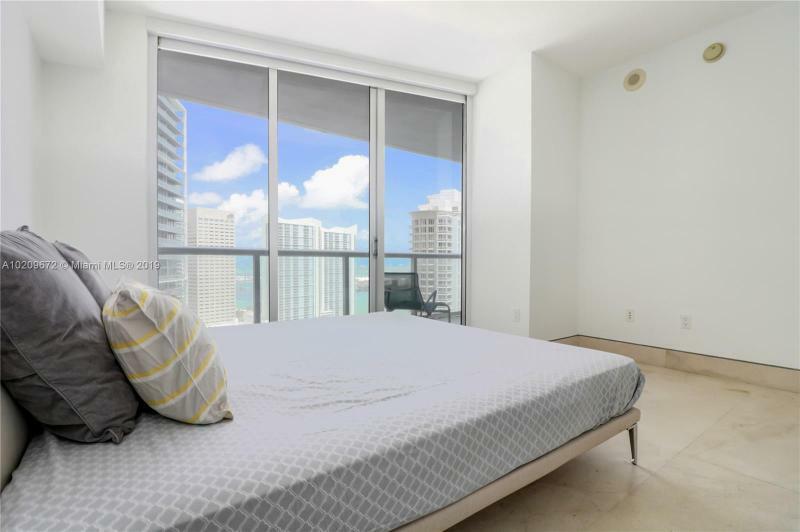 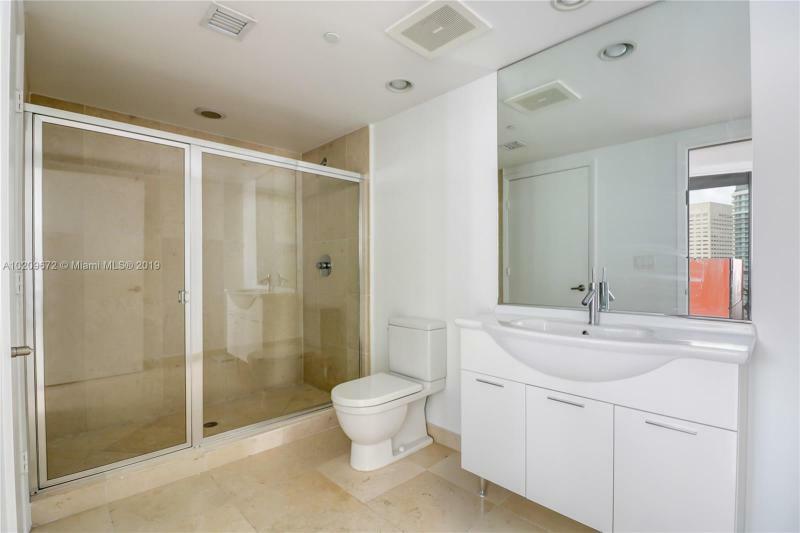 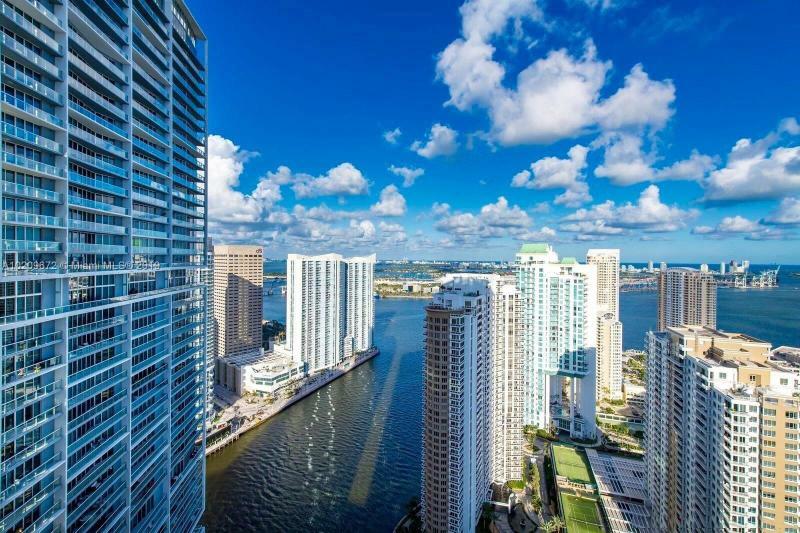 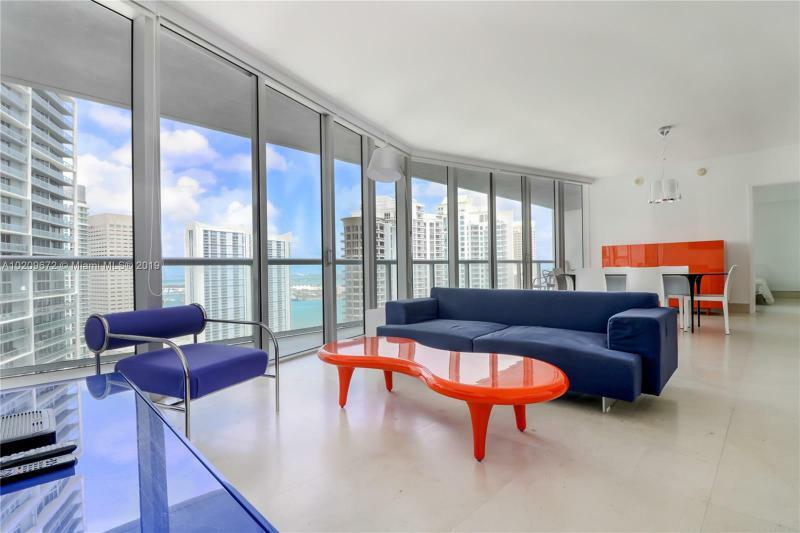 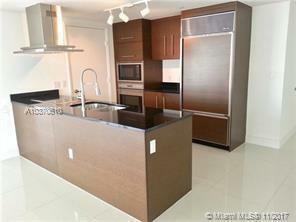 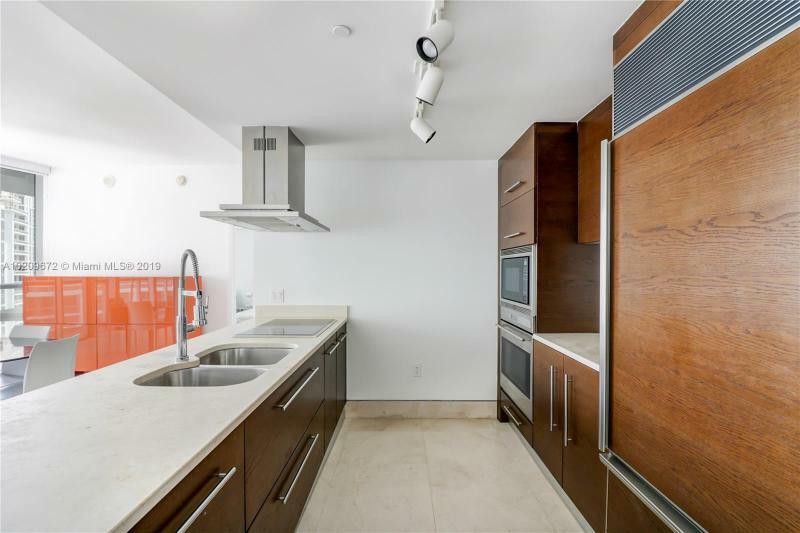 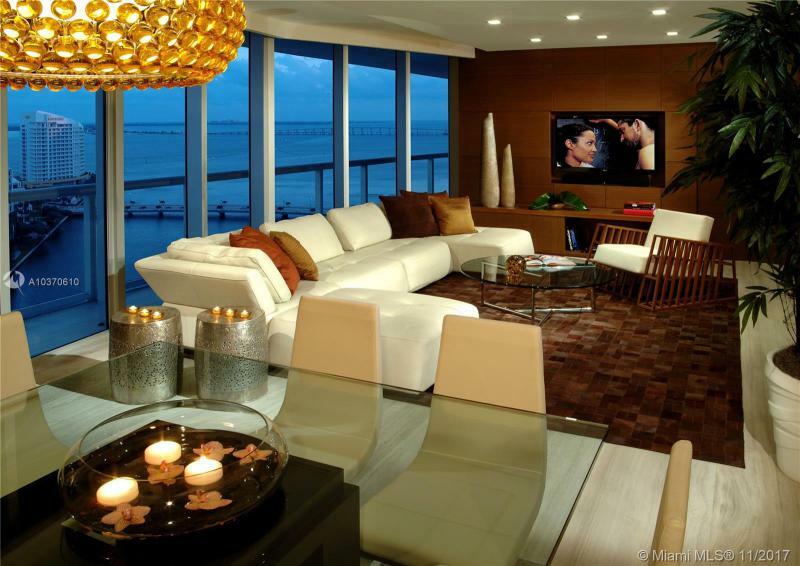 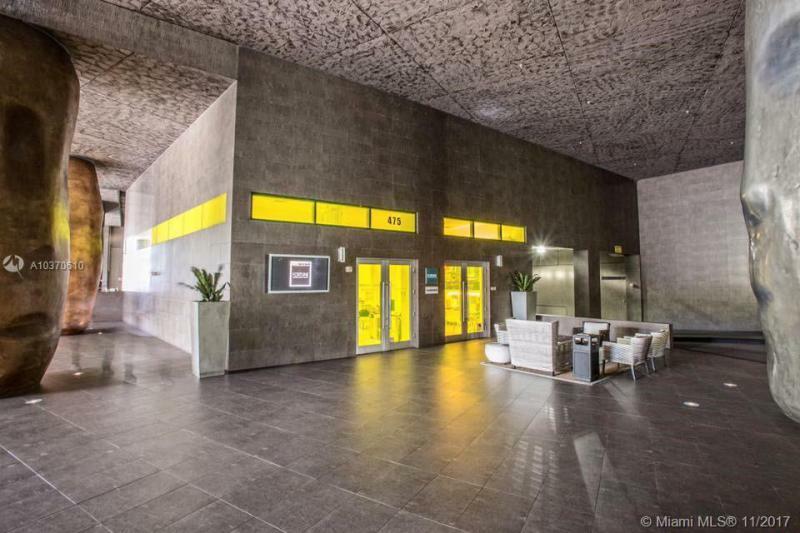 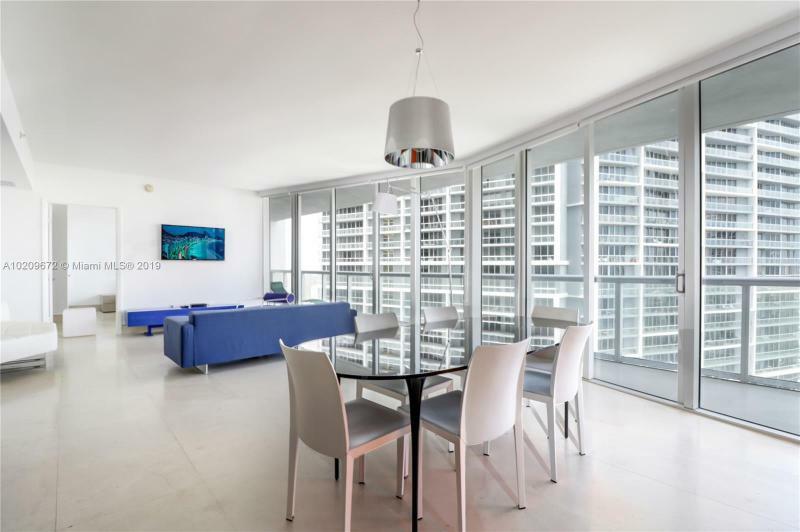 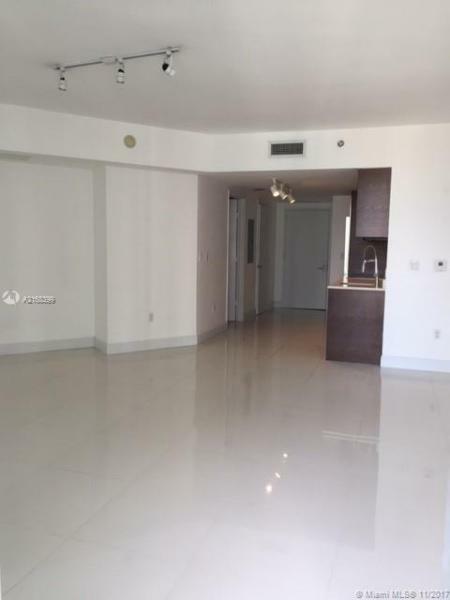 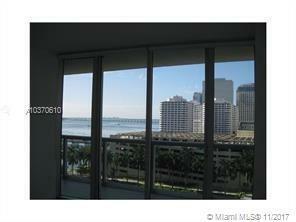 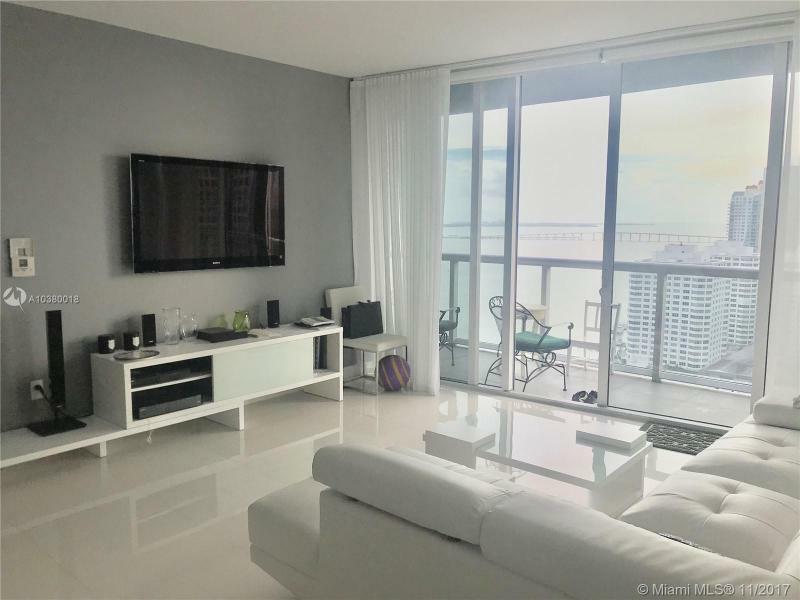 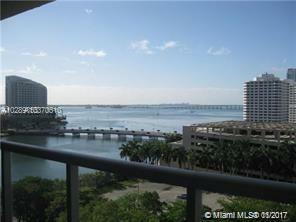 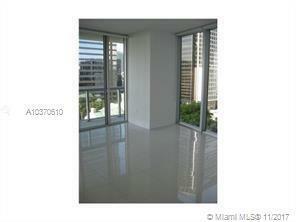 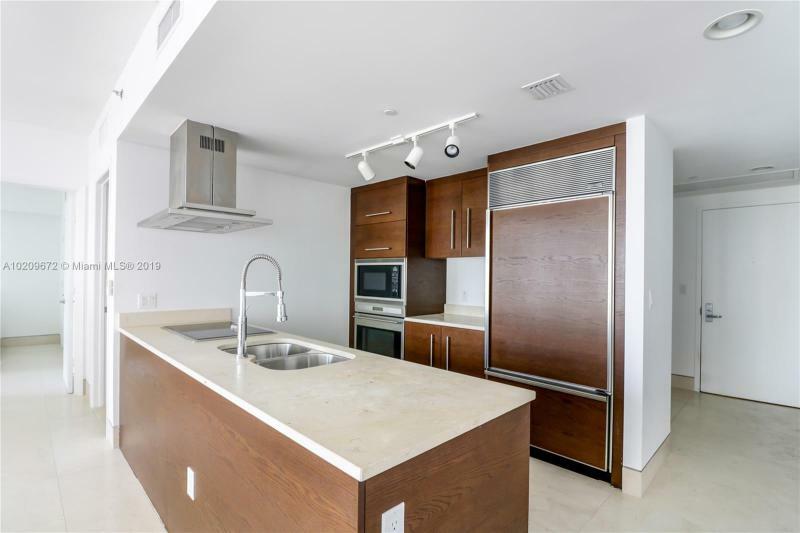 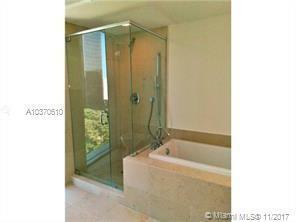 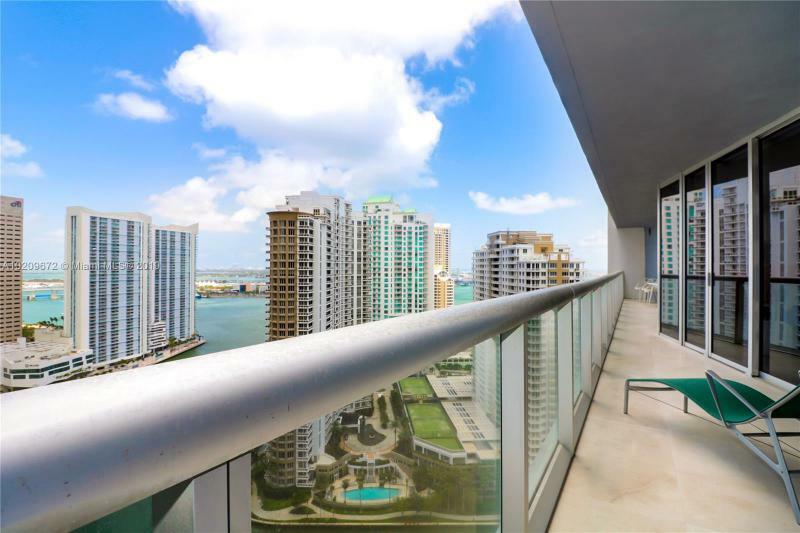 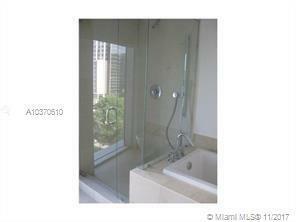 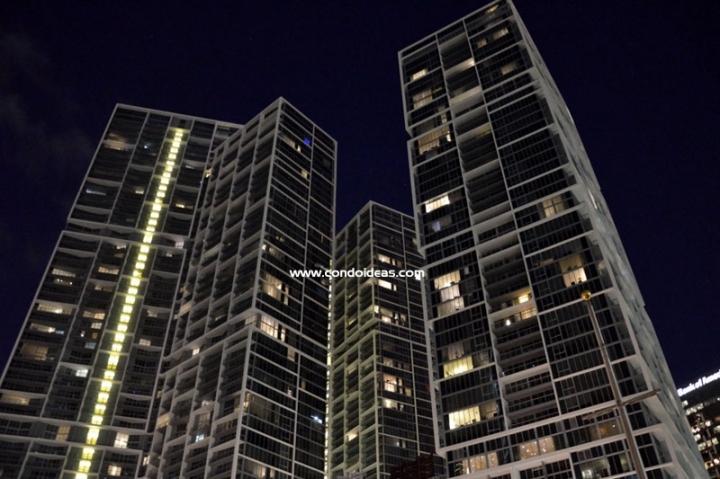 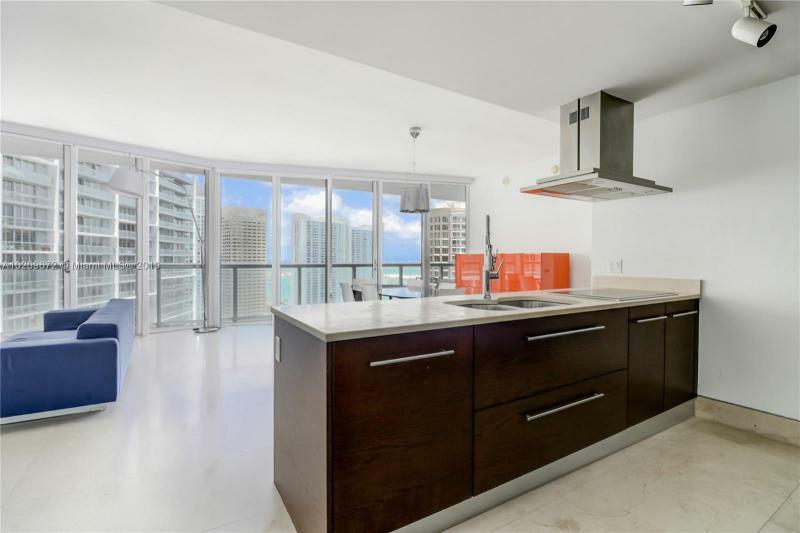 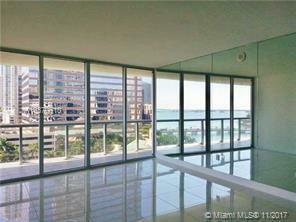 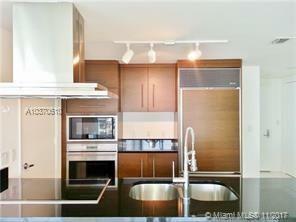 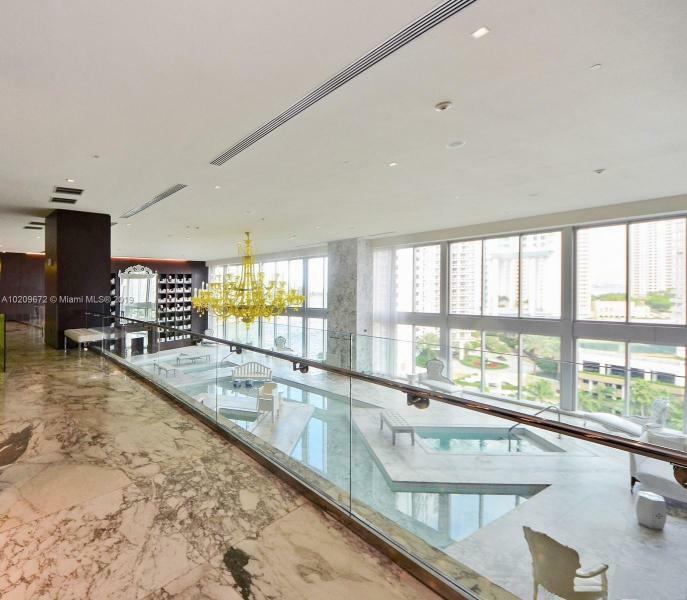 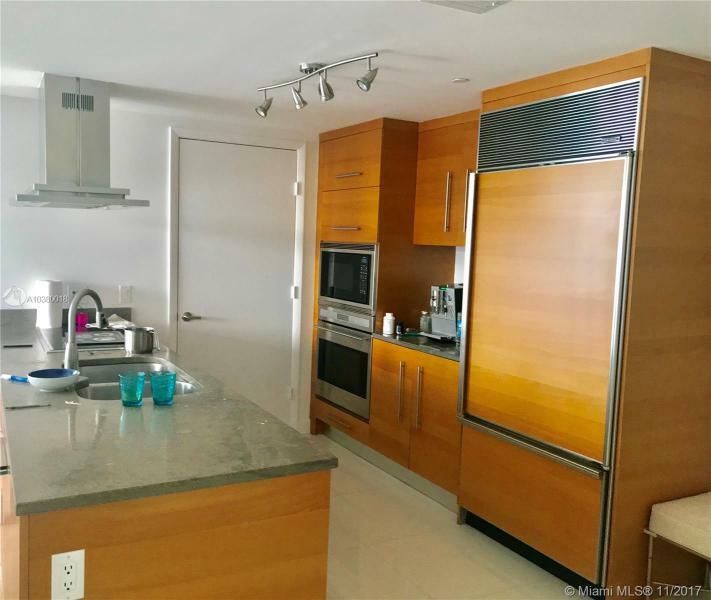 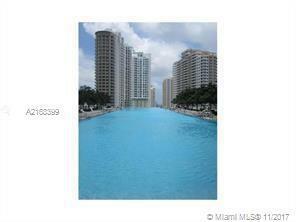 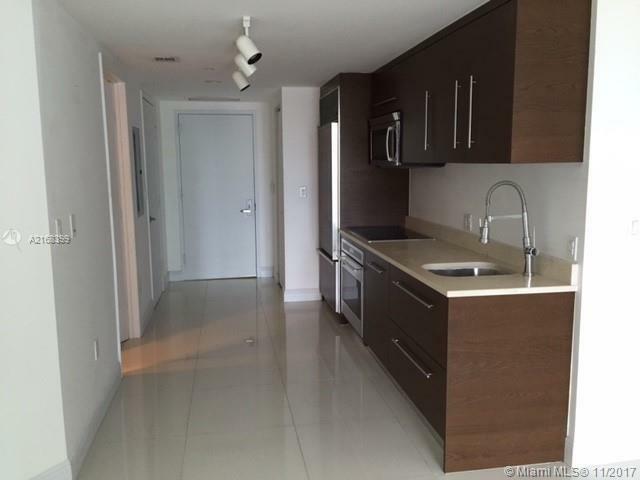 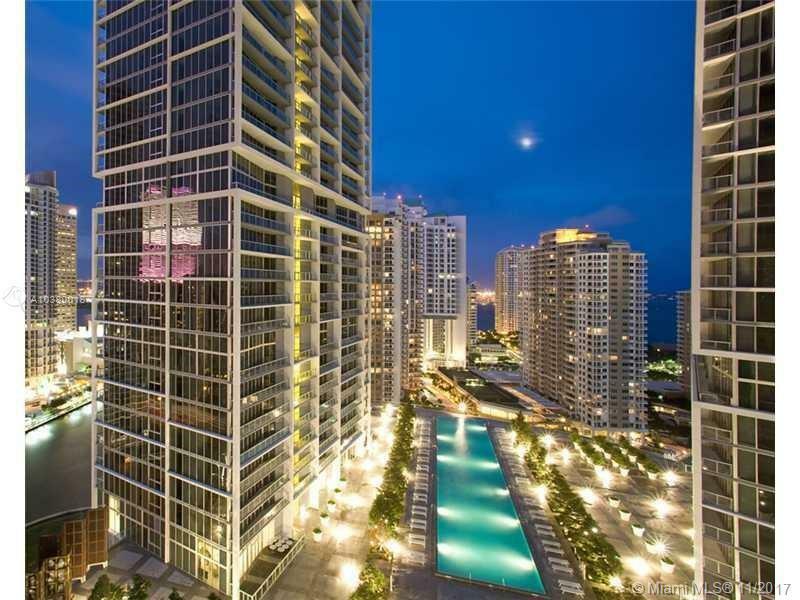 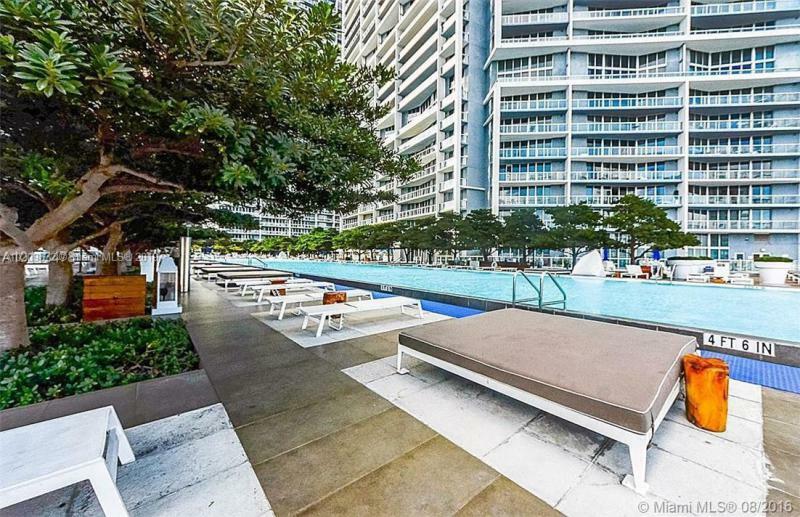 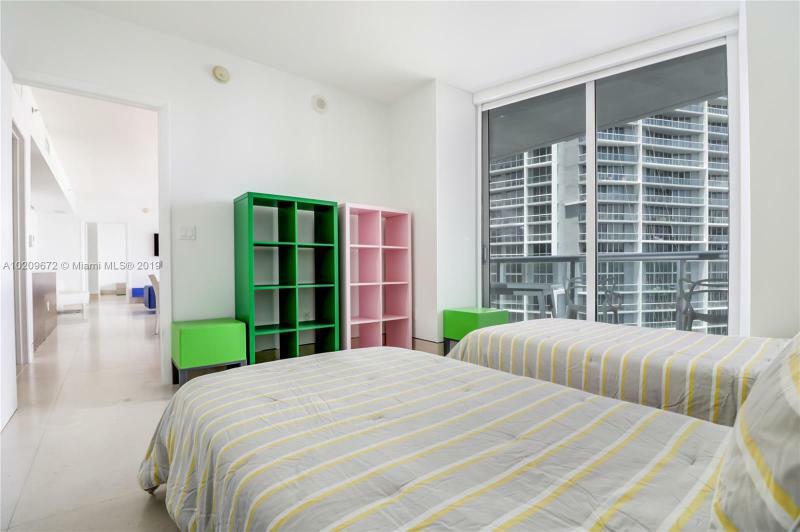 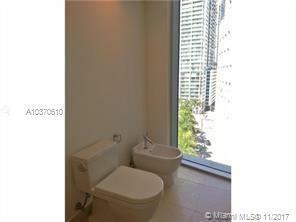 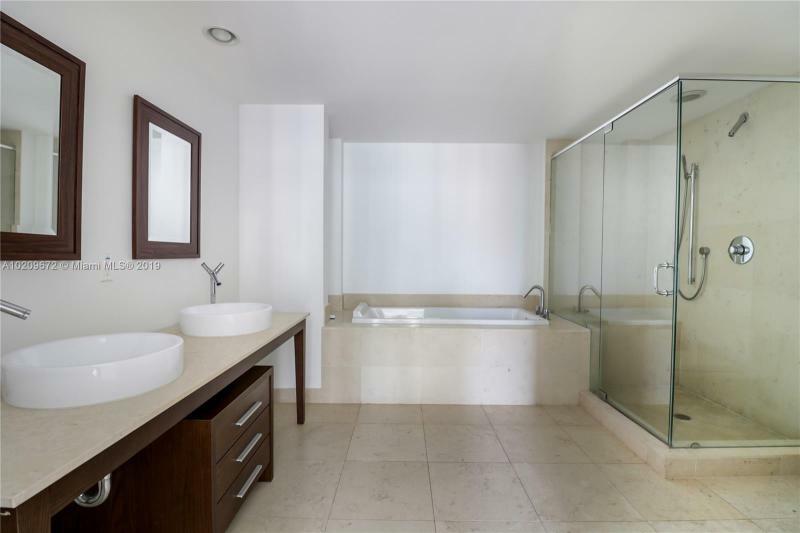 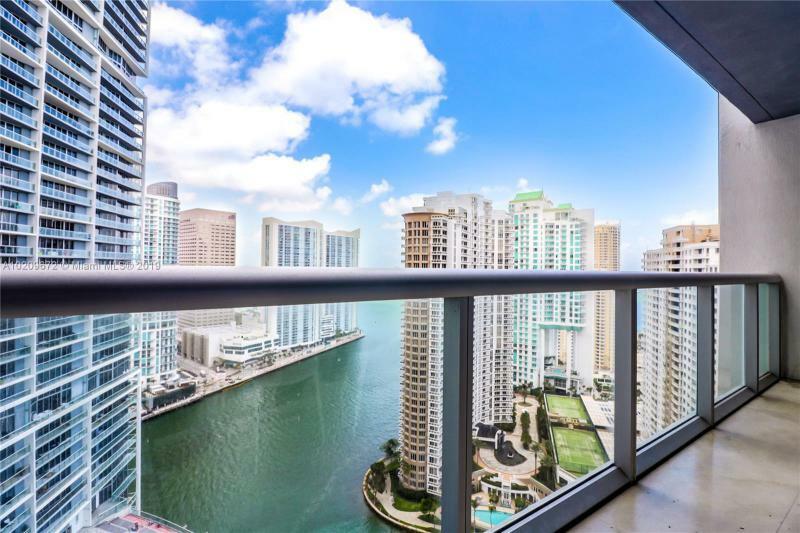 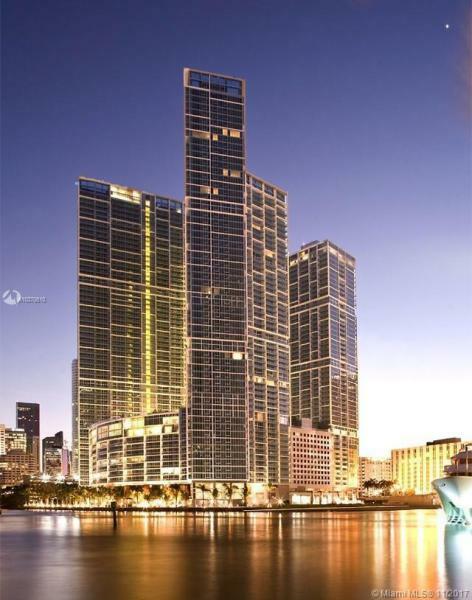 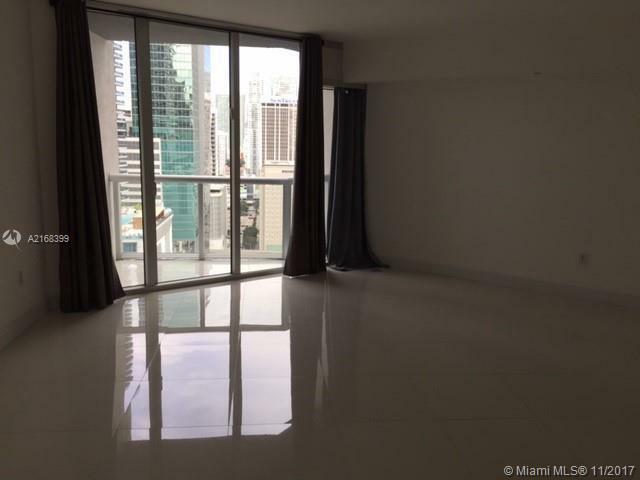 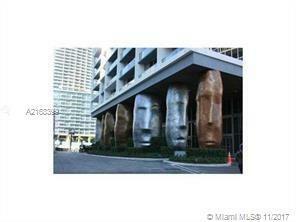 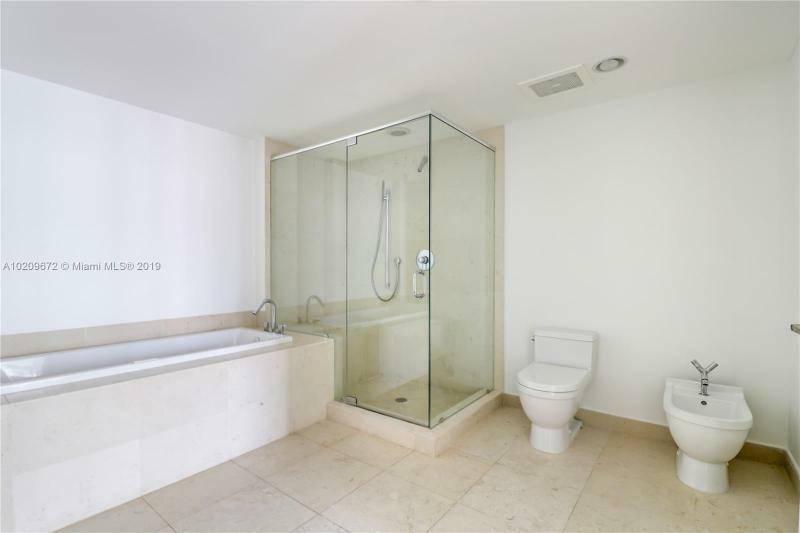 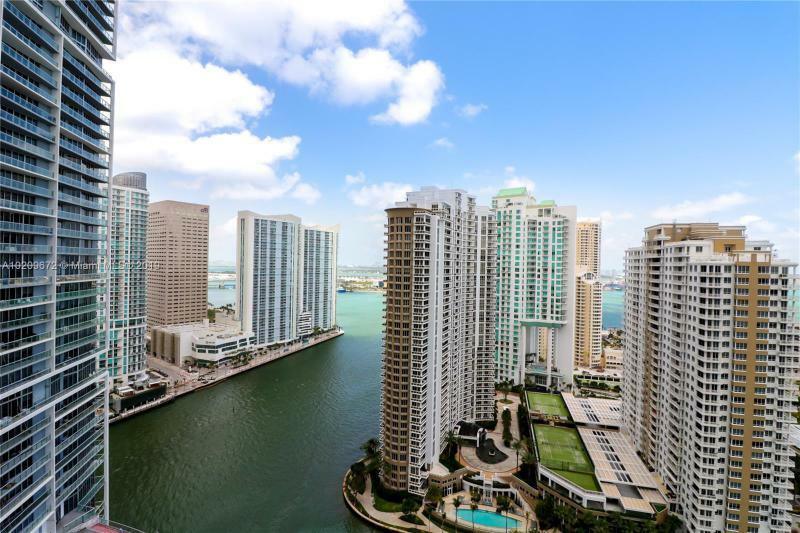 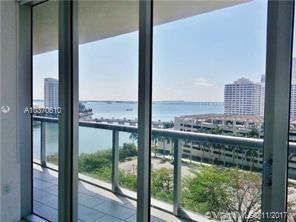 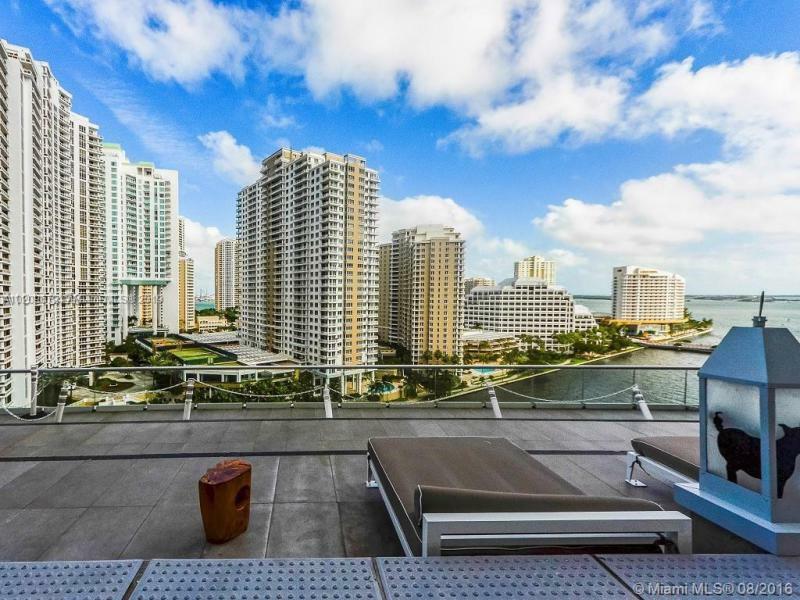 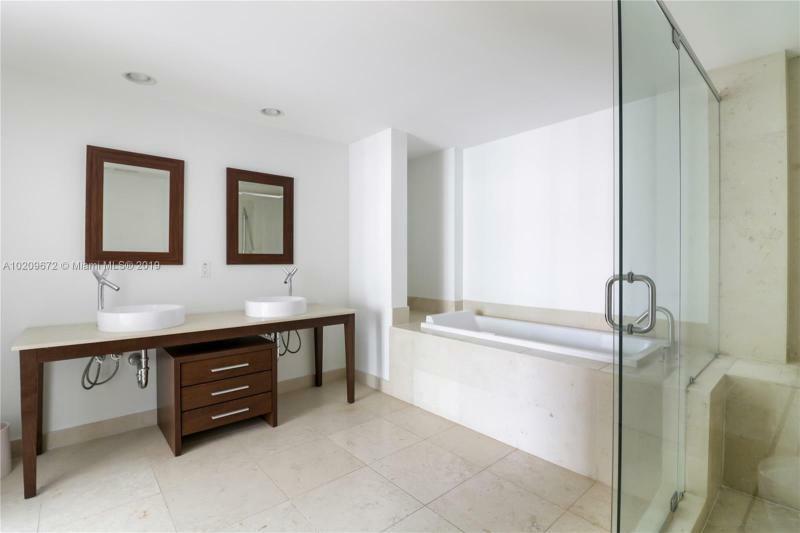 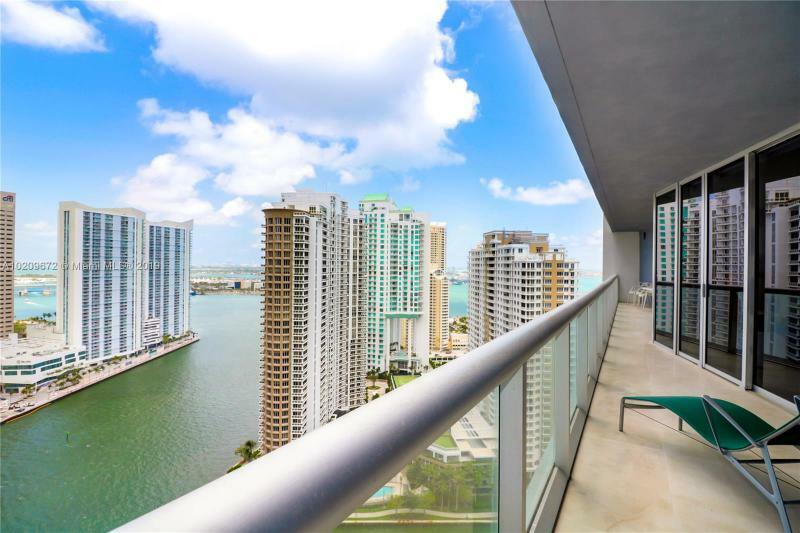 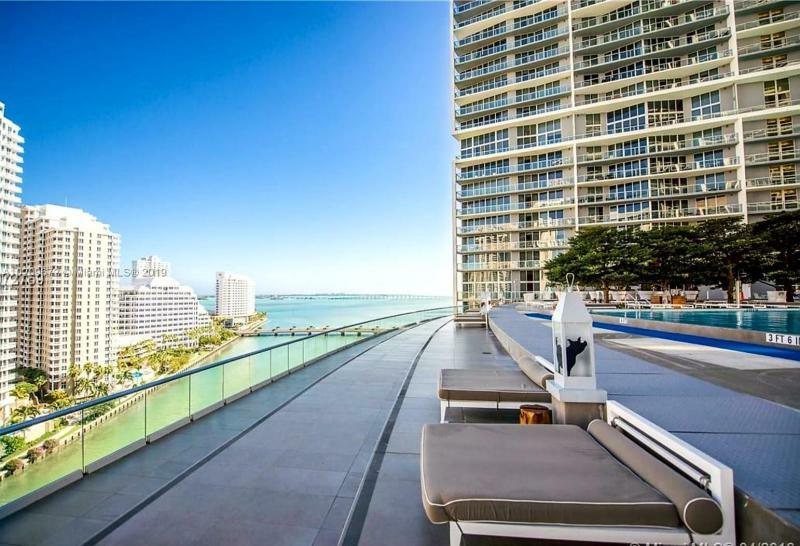 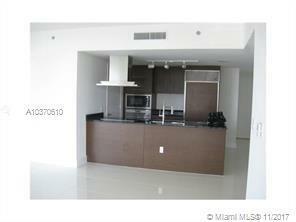 Buy at this ultra-modern 57-story condo tower, just completed in 2009. 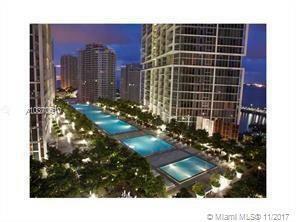 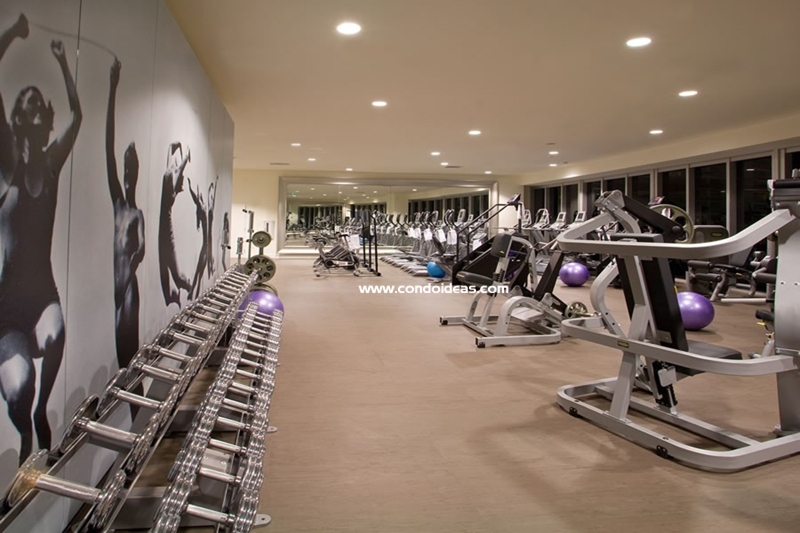 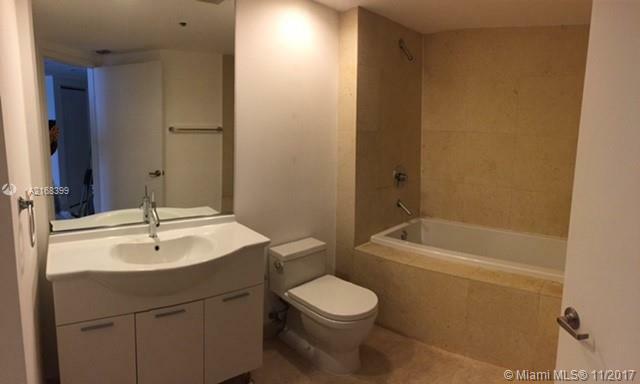 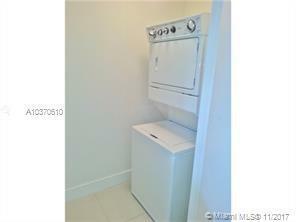 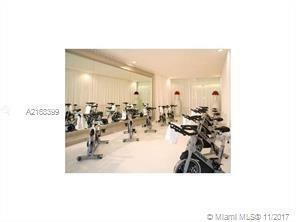 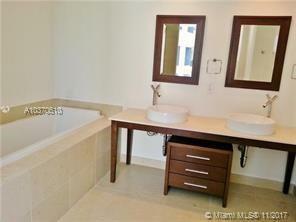 It offers 561 units with seven single-story and four two-story penthouses. 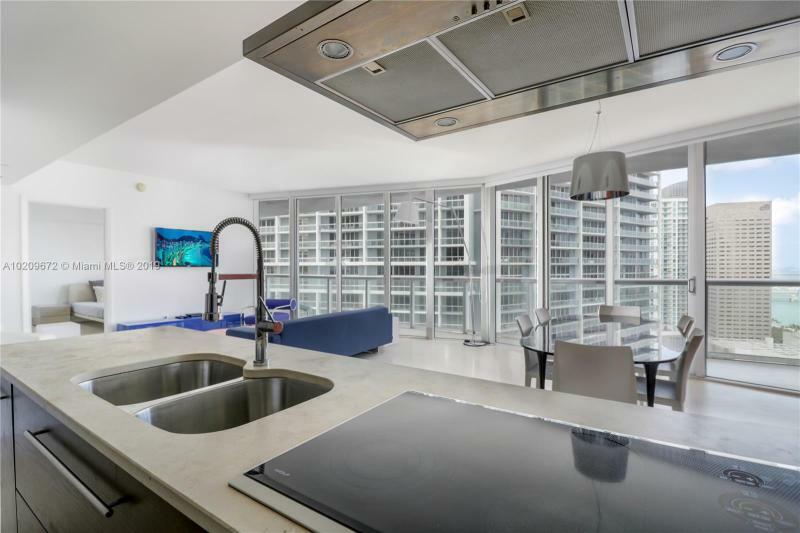 The air-conditioned units feature nine-foot ceilings, generous balconies, marble-lined baths, granite-topped kitchen cabinetry and Sub-Zero and Wolf appliances. 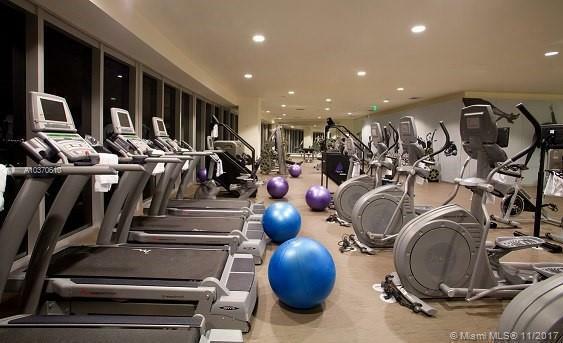 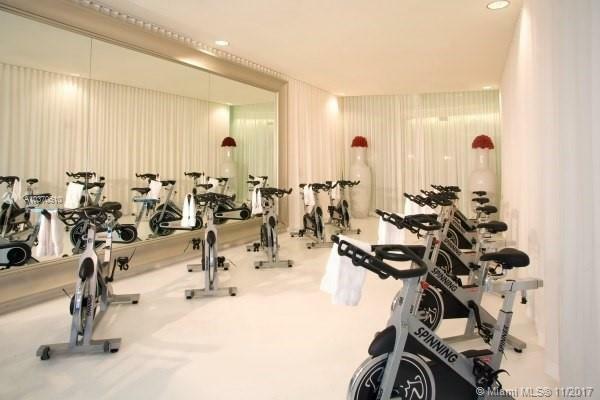 Service includes helpful concierge assistance and valet parking. 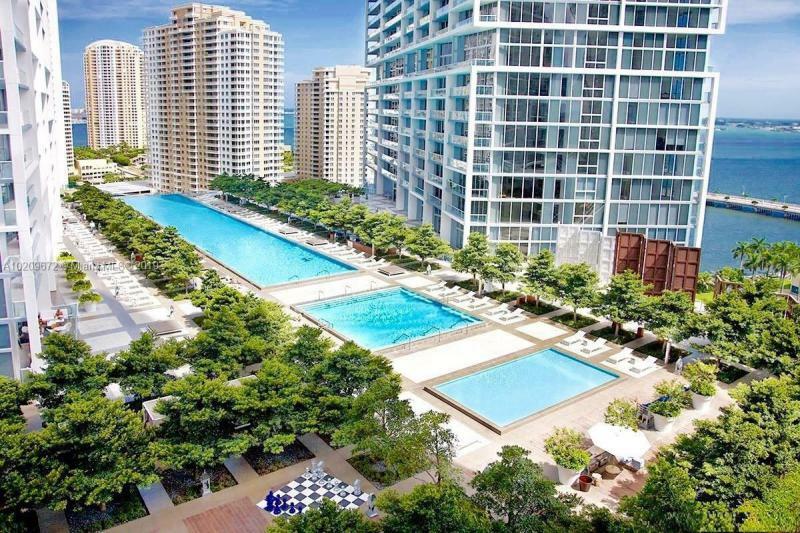 Enter this ten-acre enclave and leave the world behind. 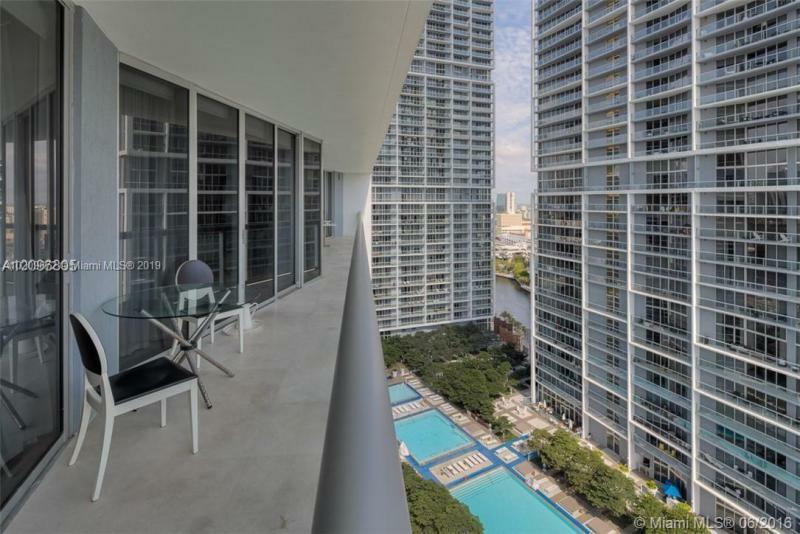 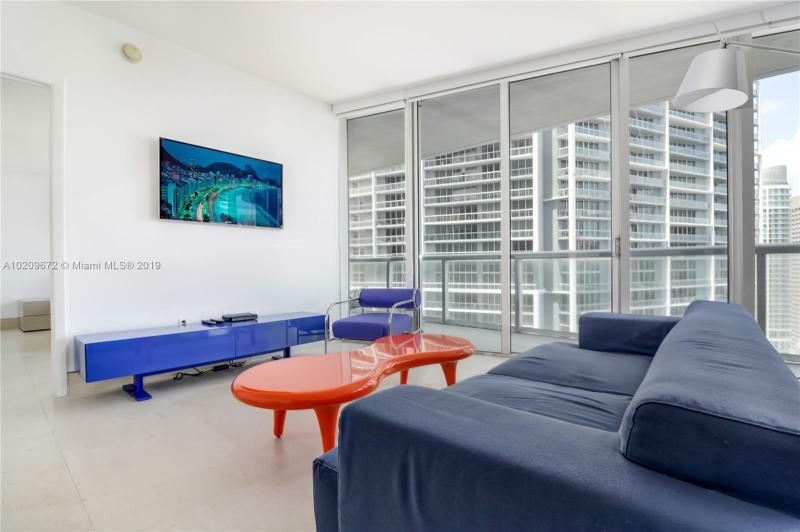 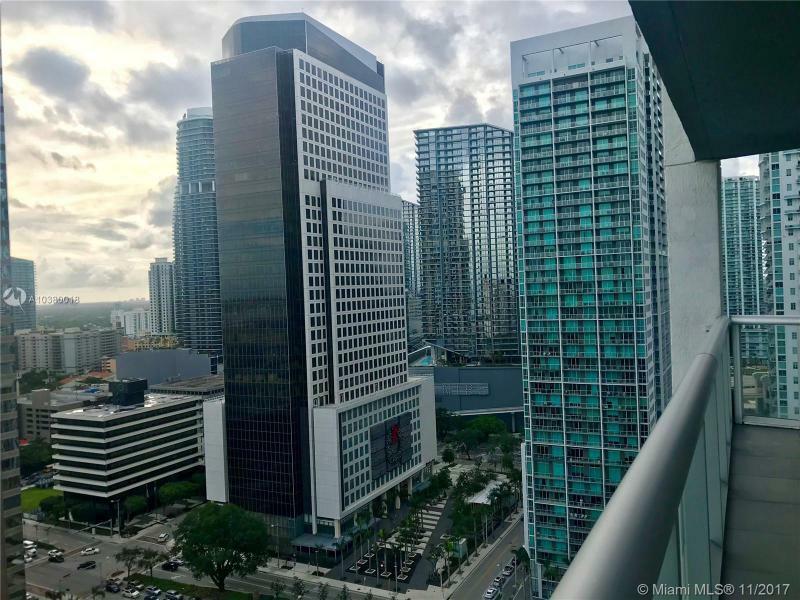 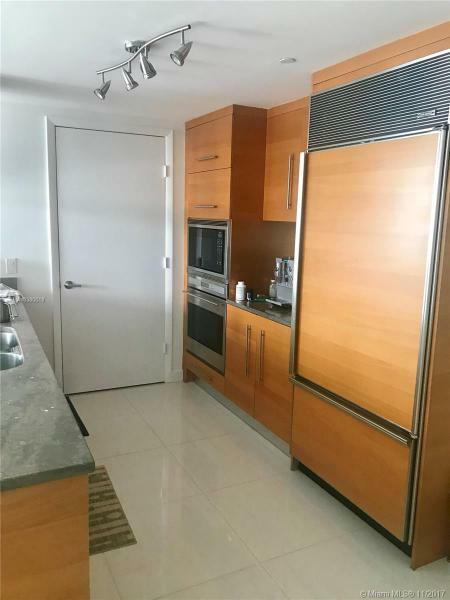 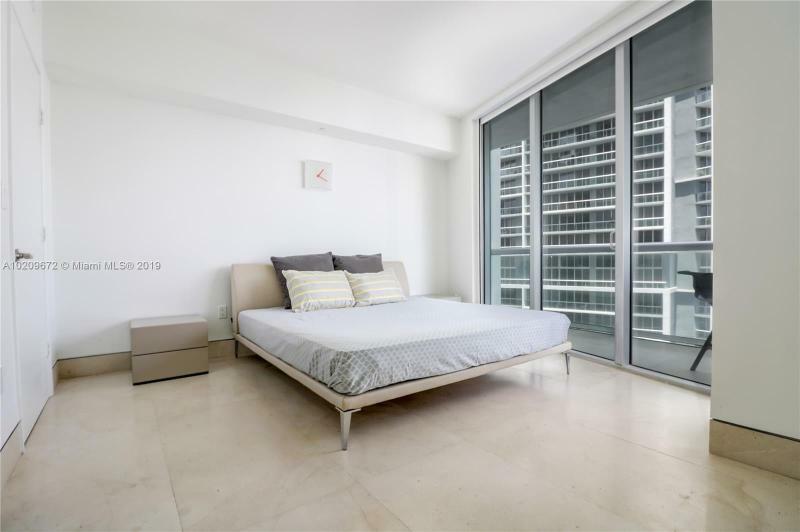 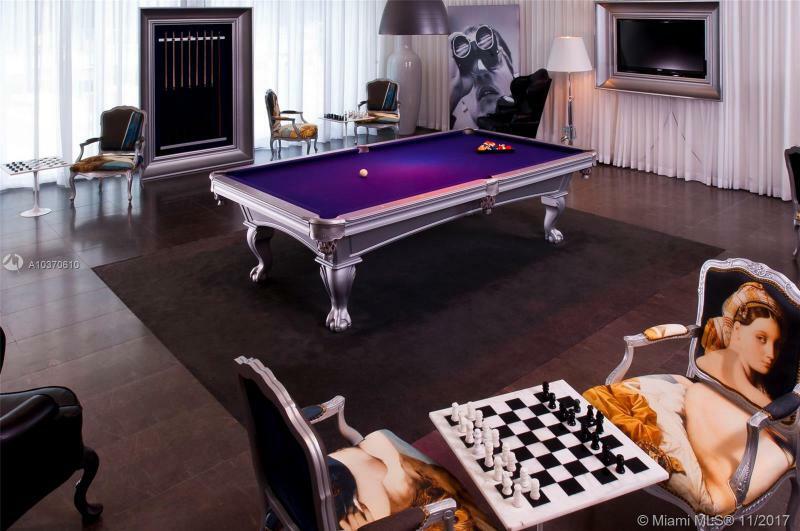 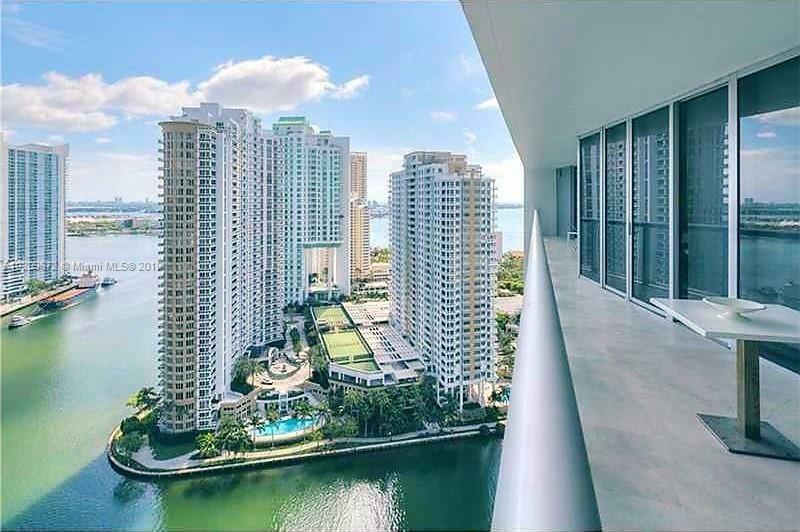 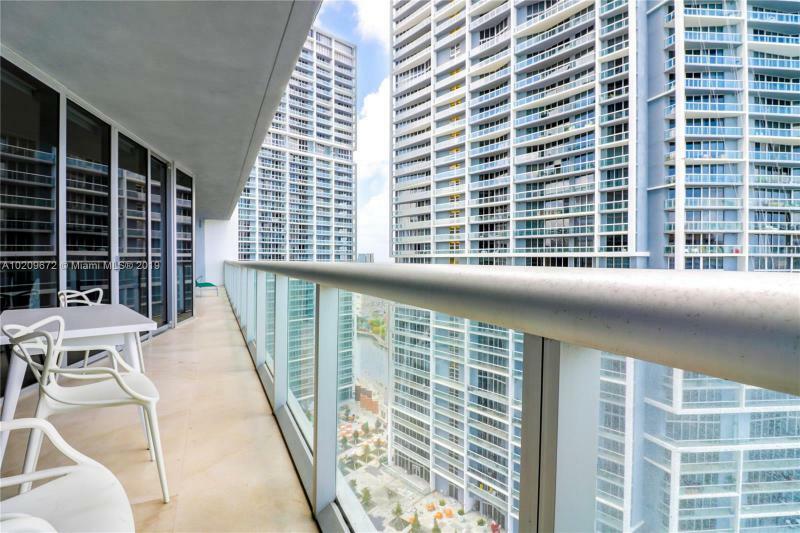 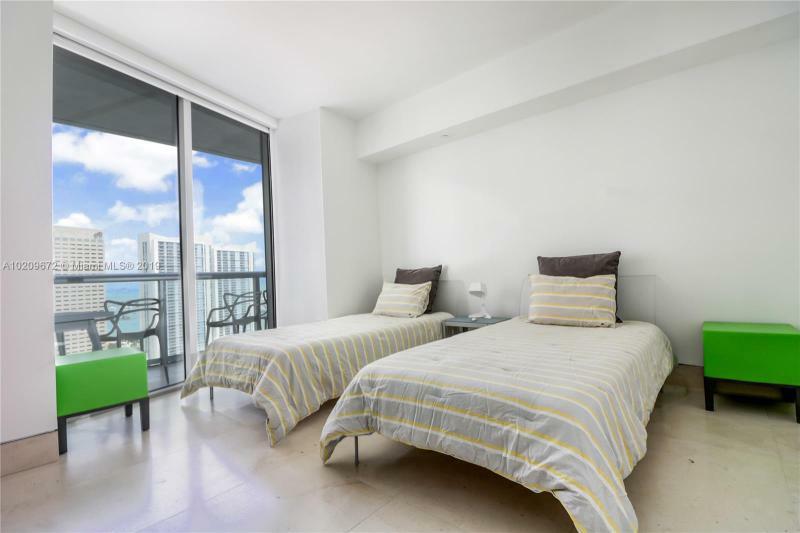 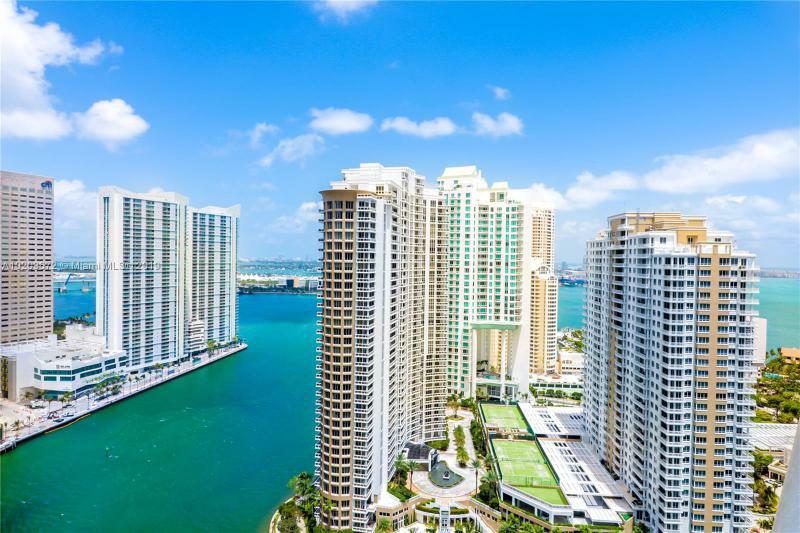 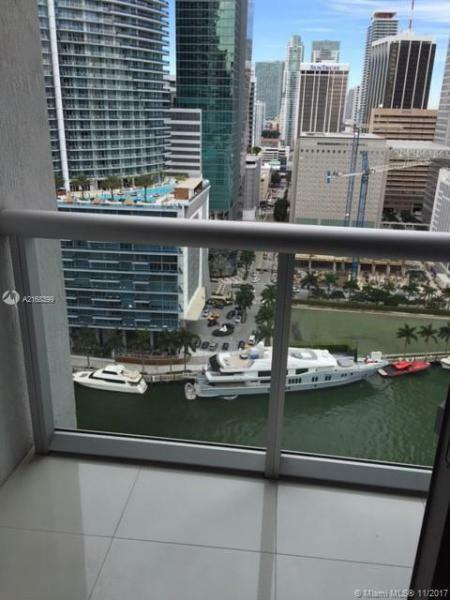 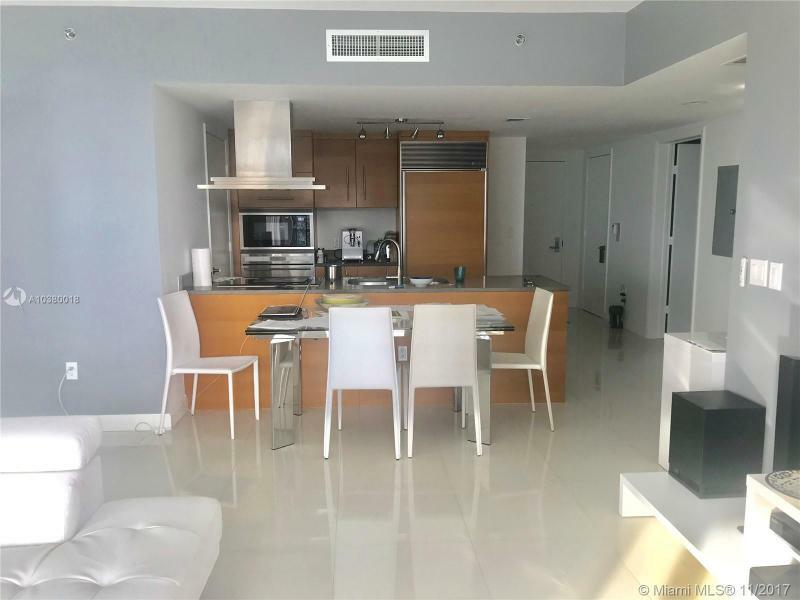 See what the standard for contemporary condominium living is like at the Icon Brickell Tower II, but also in the Icon Brickell Tower I. 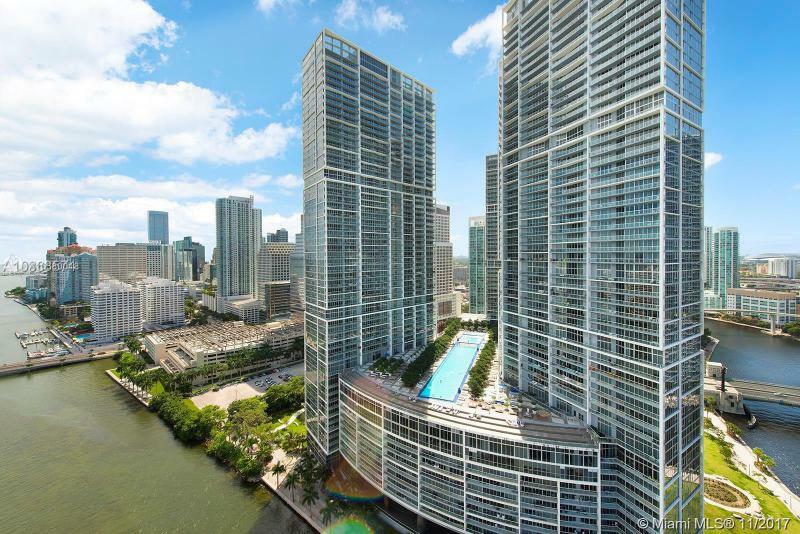 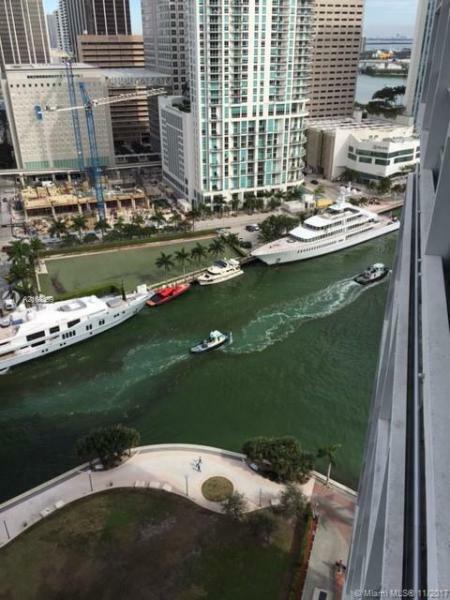 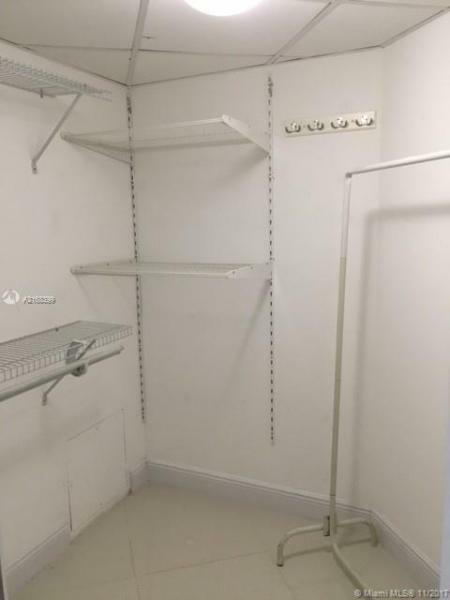 Developer: South Florida developers. 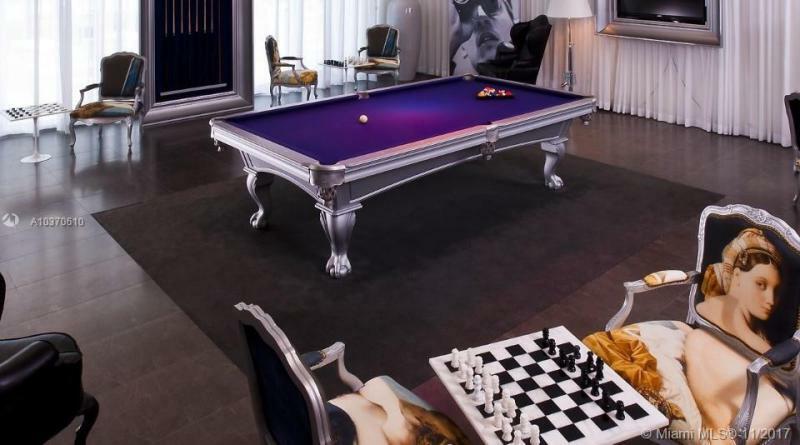 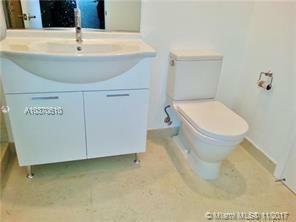 Designers : Philippe Starck, inspired by Yoo.